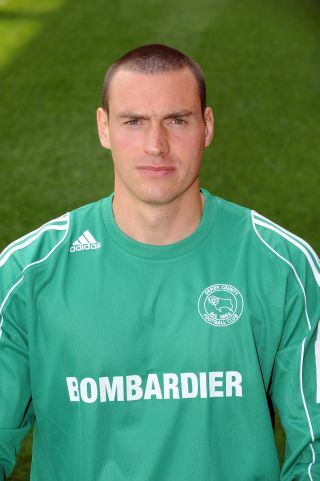 Stephen Bywater  – GK – Played well and didn’t deserve to concede four goals. Made a fantastic save to deny Hooper after Dean Moxey’s poor back pass had put the striker through one-on-one. Made good saves from Paul Hayes and Martyn Woolford. Had no chance with any of the goals, although he did get his fingers to the second goal at full stretch. Distribution needs to improve though. Nicky Hunt  – RB – A very solid debut by the loan player from Bolton Wanderers. Looked sound defensively, passed the ball reasonably well, and knows how to get forward and overlap. Was left playing Hooper onside for the 1st goal after Miles Addison rashly committed himself forward. Really started to bomb forward in the second half but, unfortunately, too many of his runs weren’t spotted by his team mates. When Lee Johnson did find him with a superb pass, Hunt’s brilliant overlap and cross should’ve seen Stephen Pearson equalise from 4 yards. Miles Addison  – CB(R) – After an outstanding performance away to Newcastle United, Addison had a very poor game against Scunthorpe United. He got drawn in and missed a very rash tackle on Hayes leaving Hooper free to score the 1st goal. Completely misjudged the flight of the ball and missed a routine headed clearance under no pressure for Scunthorpe’s 2nd goal. Together with his central defensive partner Jake Buxton, was run ragged by Hayes and Hooper all game. Jake Buxton  – CB(L) – If Addison had a very poor game, Buxton had an absolute nightmare. He was outwitted far too easily by Hayes in the build up to the first goal. Buxton should’ve gone and won the initial through ball instead of hoping it would run to him and then, having let it run to Hooper, he needed to do much better against the forward than he did in the build-up to the 3rd goal. Didn’t take any responsibility in the build-up to the 4th goal leaving Addison between a rock and a hard place. In closing down and blocking the first shot, Addison left Forte free and the rebound went to him. Buxton should’ve done more to help out his central defensive partner. Dean Moxey –  – LB – Moxey impressed earlier in the season, but now looks very low on confidence. His poor back pass, without looking, put Hooper through with only Bywater to beat when the score was 0-0. Only a brilliant save by his goalkeeper saved Moxey’s blushes. Was beaten in the air a few times. Although in fairness to Moxey, he got no help down the flank due to the inexplicable decision to play four central midfielders across the middle. Rarely got forward and, when he did, his crossing was poor. Paul Green  – RM – It’s obvious to every Rams fan that Green isn’t a right winger, yet he continues to be picked there. A good midfielder is being made to look a poor player because he can’t play that position. That said though, Green should at least try and do a right midfielder/wingers job. Not once have I seen Green attempt to take on the full-back, or even the opposition’s wide midfielder, in an attempt to get behind the opposition and put a cross in. I’d rather see him try that and fail than have every attack break down because, when the ball comes to him, Green stops as soon as he’s closed down, turns round, and either gives the ball away or passes it backwards. Did put one good cross in which deserved better than Rob Hulse looping a header onto the roof of the net. Robbie Savage  – CM(R) – Covered a lot of ground but never really got involved in the game. Passed the ball square and back but was unable to create anything going forward. Had a good opportunity but his shot was tame. 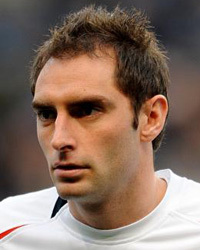 Stephen Pearson  – CM(L) – Struggled to make an impact on the game. Did make some good runs early on but lost possession too often through poor passing or overrunning the ball and getting tackled. Seemed to lose confidence and visibly shrunk as the game started to get away from the Rams. Had a brilliant opportunity at 1-2 to equalise but his weak effort from 4 yards was cleared off the line by Andrew Wright. 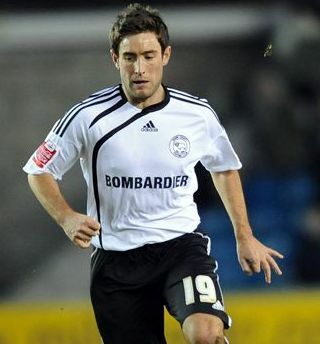 Lee Johnson  – LM – Easily the best midfielder on display for Derby County. Full of running, covered a lot of ground, was very positive and passed the ball well. Made an early clearance from central defence. Not a wide midfielder though, as Johnson played best when he moved inside to a more central position, which resulted in Moxey being exposed down the left. Gave the ball away in the build up to Scunthorpe’s 1st goal but only because Chris Porter made no effort to challenge for the ball. Had a tame shot that Lillis fumbled, then blocked Rob Hulse’s follow-up. Moved into a central position when Steven Davies came on and looked very comfortable there. Rob Hulse  – SC – Struggled in the first-half where neither he, nor Porter seemed to know who was meant to be trying to win the balls forward. Looked better in the second half when his job was to win the ball for Kris Commons. Had a number of half chances inside the penalty area but opted for a first touch too often instead of just putting his foot through the ball. Put two second half headers onto the roof of the net. Chris Porter  – SC – Like Hulse, never seemed to know whether he or his strike partner was meant to be going for the high balls forward. Tried to create chances for himself, rather than involving his team mates, but was unlucky in one move when he created a good shooting opportunity, only to be denied by a brilliant sliding tackle. Should’ve made more of an effort to challenge for Johnson’s pass in the build-up to Scunthorpe’s 1st goal. Substituted at half-time. Kris Commons  – SC (for Porter, 45) – Made an immediate impact when introduced at the start of the second-half. Was very positive, controlled the ball well, ran at Scunthorpe with pace and trickery, caused the Iron defenders problems every time he had the ball, and was prepared to shoot on sight. Beat two defenders before his shot from inside the penalty area “D” deflected past Lillis off Williams. Was on target with a free-kick but it was easy for Lillis to save. Steven Davies  – RM (for Green, 71) – Made one good run down the right wing, jinked into the penalty area, and shot wide. Struggled to get into the game and didn’t look match fit. Paul Connolly  – RB (for Hunt, 79) – Came on late on and didn’t have much time to impact the game. Was unable to get forward and overlap the way Hunt had done. Should’ve closed Thompson down earlier for Scunthorpe’s 3rd goal and needed to be goal side of Forte for the 4th goal. Substitutes not used: Saul Deeney, Jay McEveley, Gary Teale, D. J. Campbell. Derby County Mad is on facebook. Search for "Derby County Mad" and join the group.